At Arrow Engineering Mixing Products, we offer a wide range of air mixers capable of running at an equally wide range of RPMs. 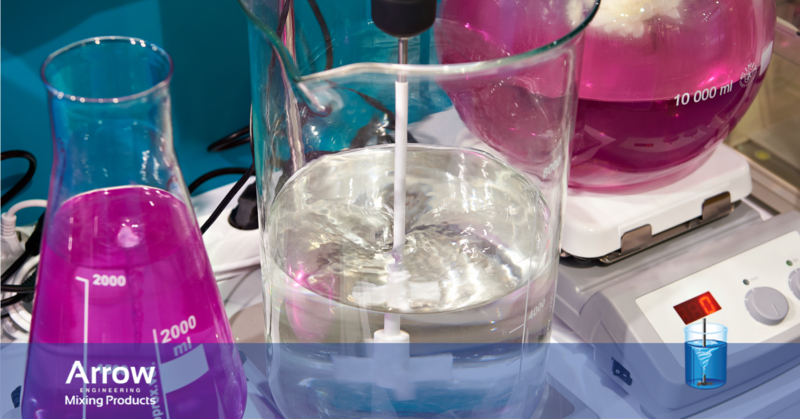 When choosing an air powered stirrer, though, you may be wondering which speed will be best for mixing your product. 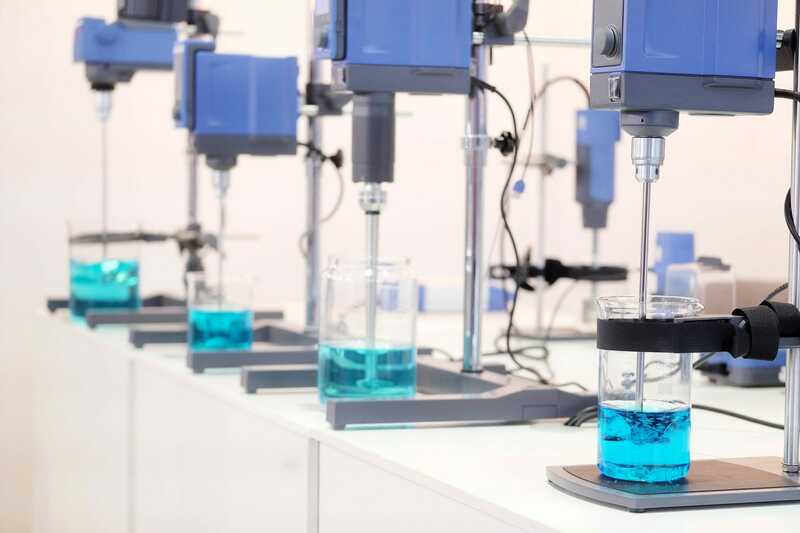 Below, we’ll take a look at the pros and cons of both low and high mixing speeds to help you determine which air driven stirrer will be best for your application. One of the most obvious advantages of a high RPM air stirrer is the fact that it is able to reduce the time that it takes to thoroughly mix products. It goes without saying that the faster a mixer runs, the more intensity it will deliver to your product and the quicker your mixing time will be. However, it’s important to note that speed does not necessarily equate to power. In most cases, torque and motor speed are inversely related. For example, one of our air mixers with the highest motor speed is our Model A-5 air mixer. This mixer runs at a blazing 7000 RPM, yet it produces just 6-in-lbs of torque. Compare that to our Model G-G air mixer which runs at just 170 RPM and yet produces 100 in-lbs of torque. What this means is that air mixers with a high motor speed are better suited for quickly and thoroughly mixing materials that aren’t all that thick or viscous; thus don’t require large amounts of torque. Powerful, low RPM air mixers are ideal for mixing materials that require a great deal of torque to agitate. As already mentioned, torque and motor speed are inversely related, meaning that when you slow down the speed of a mixer you are able to put more power toward increasing its torque and thus enable it to continue agitating even when the materials that you are mixing are highly viscous. Of course, a slower mixing speed is going to yield longer mixing times no matter what it is that you are mixing. When the materials that you are mixing necessitate a high amount of torque, though, these slower mixing speeds are inevitable. When determining what RPM range is right for your specific application, it all comes down to the materials that you are mixing. If the materials that you are mixing are not especially thick or viscous, you can afford to use a mixer with a high motor speed and low torque in order to reduce your mixing time and increase the efficiency of your operation. On the other hand, if the materials you are mixing are thick and viscous, you’ll be better served by choosing a mixer with a lower RPM and higher torque output. Such a mixer may slow down your mixing time, but it will ensure that your materials are effectively mixed no matter how viscous they are. 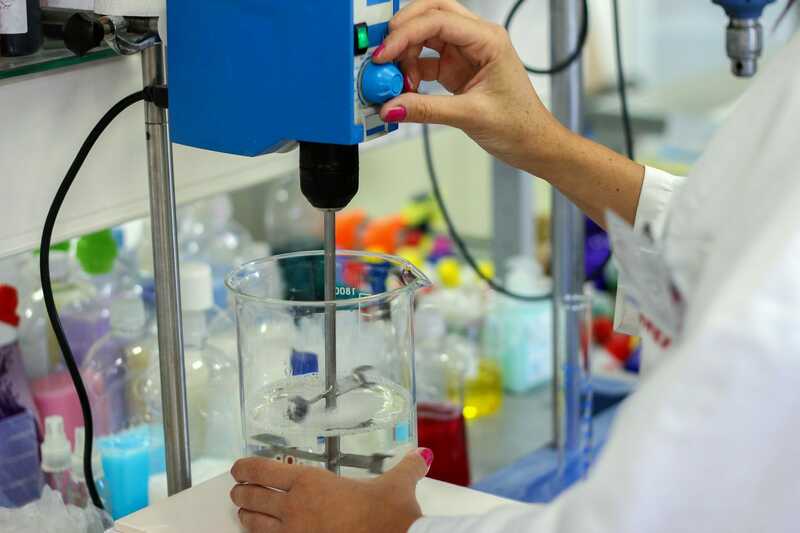 Matching the mixing speed of your air stirrer to the material that you are mixing will enable you to ensure that your mixing process is as quick and effective as possible. If you would like any assistance choosing the air driven stirrer that will be best suited for your specific application, we invite you to contact us today. This entry was posted in Air Mixers, Uncategorized. Bookmark the permalink.